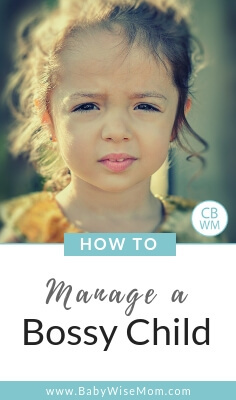 How to Manage a Bossy Child. How to help your child be less bossy. Social skills for bossy children and teaching bossy children how to be polite. I would consider two out of my four children bossy. Maybe three. A search on the internet can tell you all sorts of things, including that the bossy child is all your fault. I am probably partially to blame; I am bossy by nature. They come by it naturally. What can I say, first born children are bossy! I do not think being bossy is is all bad (I may be biased…back to me being bossy…). The world needs people willing to lead and direct. Bossy children typically are willing to step into leadership roles. There is evidence bossiness is connected to giftedness (that doesn’t mean every gifted child is also bossy, though, especially if that child is also socially gifted). Bossy children are typically rule followers, which means they are often overall easy to parent because they believe in toeing the line. Of course, every trait has its good side and bad side. Being bossy is not always well received by peers. You can come across as rude when you are being bossy. It can be, frankly, completely obnoxious to have your child boss siblings around with a parent standing right there. If your child takes that a step further and tries to boss the parent around…I am not sure. My children have not crossed that line. They might if I were less bossy myself. When I am considering character traits such as bossiness, I carefully consider what is good about it and what is bad. I try to enhance the good about it while muting the bad about it. I want my children to be leaders. I want them to be willing to stand up for what is right and be an influence for good in the world. I also want them to have good social skills. I do not want them alienating their peers because they tell everyone what to do. I do not want them getting wise in their own eyes and overstepping their role in the family. If your child is bossy, do not beat around the bush. Let your child know that he is bossy. Let him know how that can come across. Explain that people do not like to be bossed around and that it can hurt feelings. Let him know what social repercussions can be for being a bossy child. He might not believe you. He might not change his behavior at all. But if he stays bossy, they day will come that he will get social backlash, and on that day, he will remember your warning and will likely be more willing to listen to your advice. Be sure when you are forewarning your child, you are gentle about it. Don’t let them think they are terrible people. You can be frank and kind at the same time. If your child comes to you with a sad tale about friends lashing out because of bossiness, do not point the finger and say, “HA! I told you so!” Be a safe place to land. When I was in fourth grade, a bunch of my friends confronted me and told me I was not the boss of them and to stop bossing them around. It was so hurtful to me and I was crushed at the time. I was able to tell that story to Brayden and tell him if he was bossy with his friends, they day would probably come they either called him out or they would avoid being around him. So if you have life experience to share, it might be helpful to share. I have read to not tell your child people won’t want to play with them if they are bossy, but I disagree with that. I am sure this would vary from child to child, though. The reasoning in the article is that it sends the message to your child that getting along is more important than anything else. That would not have been an issue with me nor Brayden. I can see that being an issue with a child like Kaitlyn. So use your best judgement on that. Some children are naturals with social skills, but most are not. Children can learn a lot from observing others, but observing social skills is usually not enough for a child to develop social skills. You might have to teach your child what is okay to say and what isn’t okay to say. I tell my children they do not need to say something just because they think it. I tell my children when a situation was not appropriate to tell someone else what to do. Do not be surprised or discouraged if you need to explain these things to your child. Your child probably sees things as very black and white. Something is okay or isn’t, and if someone is doing something they shouldn’t or not doing something they should, they feel it is a duty to inform that person. Have clear rules and expectations for what is okay and what isn’t. What can your child tell his siblings? If your child sees a sibling doing something he shouldn’t, what should she do? 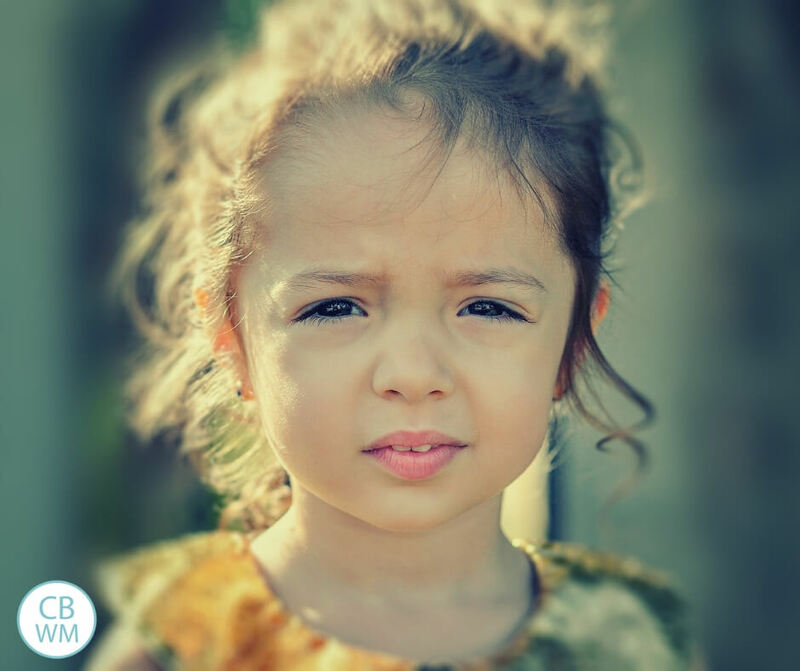 A great place to start is to tell your child that if she sees a sibling doing something she shouldn’t, she can ask a parent if the behavior is okay or not. As a parent, you need to be patient with the asking if things are okay or not. There are kids who ask questions like that with the intention of getting the child in trouble. A bossy child who is concerned about people obeying right and wrong isn’t trying to get someone in trouble. He is just trying to enforce the rules. Bossy children like order and like rules to be followed. Our bossiest child by far is Brayden. This should be no surprise because he is the oldest child and oldest children tend to be bossy. I had to institute a rule where if he insisted on trying to take on a parental role of bossing his sisters around, he would take on some jobs that are typically just done by parents at our house. I very often see parents tell their child to not boss siblings round, then turn around and get upset with the same child because he “let his sibling do that.” Your child can’t be expected to not be bossy and also be expected to keep siblings in line. That is completely confusing to a child. You cannot tell your child to not be bossy and have consequences for being bossy, and yet get frustrated at him for not bossing his siblings around. As you are honest with your child about how people perceive bossiness, teach your child social skills and how to be polite, set clear rules for when bossiness might be okay and when it might not be okay, have clear consequences for overstepping rules, and do not send mixed messages, you can help your child learn to control the bossiness. You can learn to keep thoughts to yourself and not tell people what to do. It takes time, and by time, I mean years. Have patience with the training process.